Great Start to Quality helps parents find the best child care and preschool for their child, and helps providers improve the care and education they give to children. 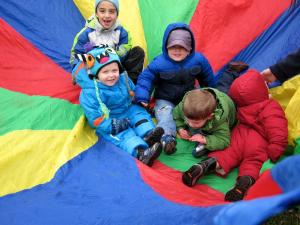 Standards set by Great Start to Quality are used to rate child care and preschool programs to ensure that Michigan’s youngest children have high-quality early learning experiences. Babies can do little when they are born. They cry when they need something. They can’t sit, crawl, walk, talk, or much else. By age five, children can sing and dance. They play hopscotch and jump rope. They know their letters and numbers. They show caring and ask for help. Some are even showing signs of early reading. Children grow so much in their first five years. 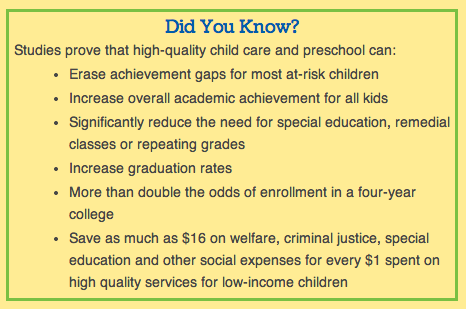 High-quality child care and preschool helps them grow and sets the foundation for success in school, work and life. 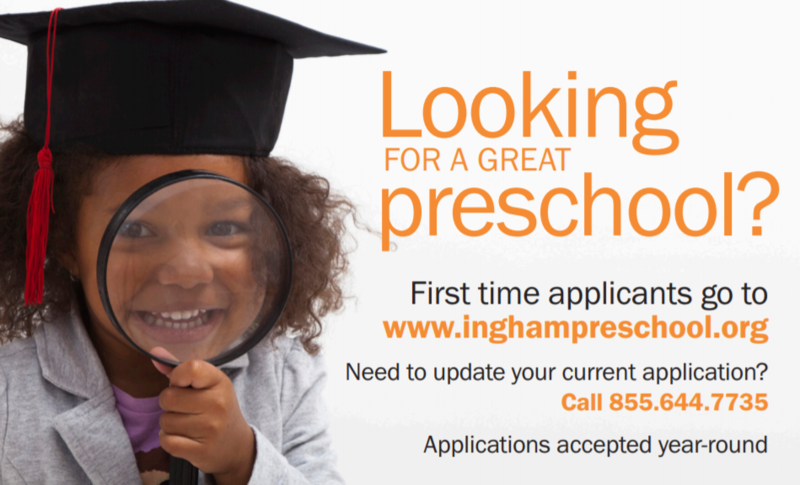 High-quality child care and preschool programs provide a safe place for children to learn and explore their world. Children have healthy snacks and meals. They have toys and activities to teach them new skills. The setting is clean. Providers and educators respond to children’s needs and help them learn. Parents and providers are partners in the child’s early learning and care. Higher quality programs also will track children’s development to make sure they are growing and learning. The tracking will help guide activities to benefit children the most. With this new rating and improvement system, parents can easily find the best early learning and care options for their child while educators and providers have clear quality standards to strive toward.